We know dogs enjoy eating fruits & vegetables but what about blueberries. Can dogs eat blueberries? Typically dogs love all type of berries but let’s find out how safe are blueberries for our furry friend. Dogs are man’s best friends. For this reason, we only want what’s best for them. This includes the best shelter, environment, and best dog food. Unfortunately, what we think is best for them isn’t necessarily the best thing for them. For this reason, it is important to know what is actually good or not for your pet. When it comes to feeding your dog, one important note to remember is that their diet is very different from ours. What is good for us may sometimes be harmful for them. Popular examples of normal human food that are dangerous to dogs include chocolate, onions, and grapes, among others. However, there are also the lesser known food, such as cherries, blueberries, milk, cheese, etc., that may or may not be good for your dog. 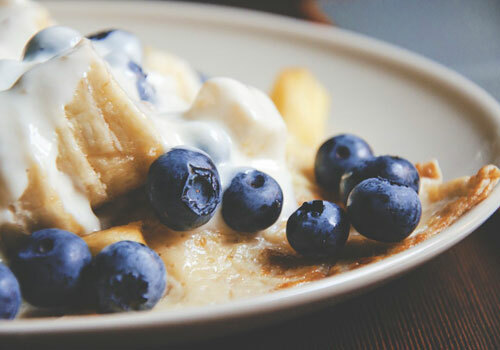 This article talks about whether or not dogs can eat blueberries, and what to do in case your dog develops negative reactions to it. So let’s dive right into it. 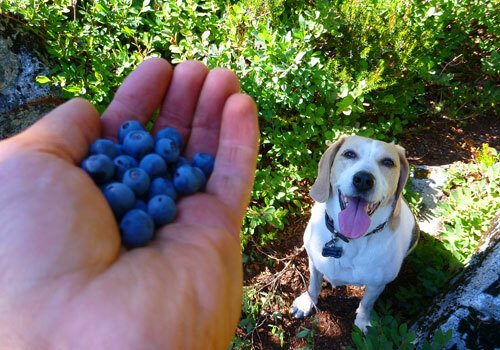 If you’ve been thinking of whether or not you can feed your dog blueberries, the answer is yes, you can! Blueberries are good for your dogs because like other kinds of berries, blueberries can give your dog natural nutrients such as fiber, polyphenols, vitamin C, and vitamin K.
It is low in fat and sugar, and helps lower cholesterol levels, inflammation, and the risk of heart disease. 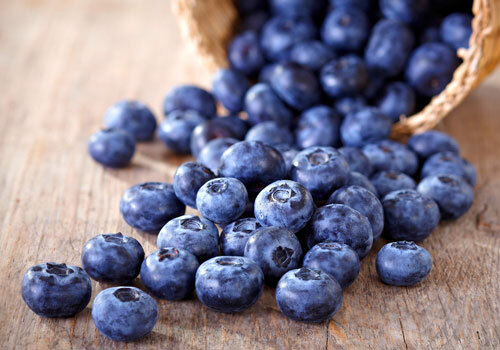 Blueberries also increases the level of antioxidants in the body, helps fight cancer, helps regulate blood sugar levels, and helps prevent the following: memory loss, aging, hypertension, obesity, dyslipidemia, insulin resistance, glucose intolerance, and urinary tract infection. Blueberries can protect your dog’s cells against free radicals, which are unstable oxygen molecules that can be deadly for your dog. Free radicals can harm your dog internally, bringing about fatal problems such as heart disease and cancer, among others. The nutrients in blueberries can help your dog fight these radicals and therefore keep your dog healthier for a longer period of time. If your dog is already diagnosed with Cognitive Dysfunction Syndrome, blueberries can also be good for them. The fruits are very beneficial especially to older dogs because it helps improve their mental strength. 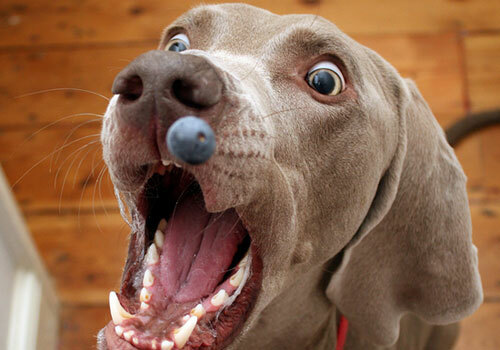 Blueberries are also good for your dog’s pancreas because it is a rich source of silicon. In short, dogs can benefit a lot from eating blueberries. In fact, they are so good that many dog foods even include them as a staple ingredient, and many pet stores already stock blueberry-infused dog treats for your furry friends. However, it is important to only give them blueberries in moderation. Keep in mind that your dog food should already be able to supply your pups with all the nutrients that they need and blueberries should only be an additional treat if you are feeling generous or if they have done something good. Though the fruits have a lot of nutrients, it is not necessary for you to give them to your pets. Remember that your dog’s diet is different from your own. Giving him too many nutrients may backfire and cause problems instead of benefits in the long run. Why Are Blueberries Bad for Dogs? Blueberries are generally good for dogs because of all the nutrients that they bring, but an excessive amount can also be harmful for them. Sometimes, too much fiber can affect your dog’s digestive system, making it work harder than it’s meant to. When this happens, your dog can get diarrhea, loose stools, and other stomach problems. To prevent this from happening, it’s best to only limit your dog’s blueberry intake per day. An average dog could generally take up to 10 pieces of blueberries, but smaller ones may only be able to digest less. 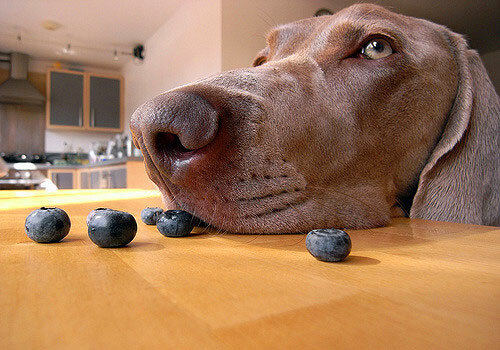 To know how much blueberries your dog can take, give him a few at a time and check how he will react to it. If nothing happens, you can always increase the amount, but if there are negative symptoms, then it means your pet can’t take it. In this case, blueberries may be bad for your dog, so you should keep them away from it. If your dog already suffers from digestive or stomach problems, it’s best not to give him blueberries, as this might worsen the situation. However, if you really want to give some to your dog, you can always ask your vet what he thinks about it. Usually, vets will allow you to give a certain amount, depending on your dog’s condition. It is generally okay to give your dog raw blueberries, but it isn’t a very good idea to give them artificial or sweetened ones. Blueberries are already sweet as they are, so feeding your dog artificially sweetened ones may be more dangerous to them than normal. The extra sugar will not only give your dog an upset stomach but may also cause weight gain and diabetes, especially if your dog doesn’t get enough exercise. 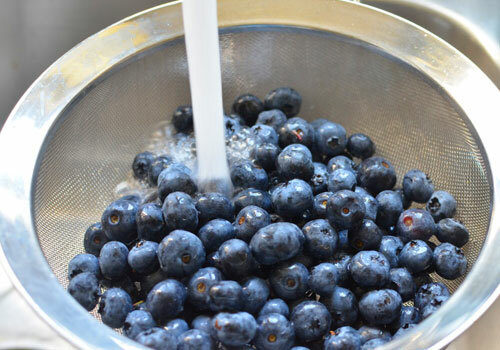 This is also true for blueberries mixed in pies, pancakes, muffins, and other sweet pastries. Many dogs and teething puppies would also prefer frozen blueberries, especially when they live in hot climates, but these are also worse than raw blueberries and can cause more tummy troubles than the latter. The good news is that excessive eating of blueberries isn’t very deadly for dogs but it is always good to monitor their intake because it can still have negative side effects and can be a slow and silent killer. How to Prepare Blueberries for Dog? The good thing about giving blueberries to your dog is that you don’t need to prepare them in any special way. Raw is the way to go with these fruits. However, it is critical to check if they’re fresh and wash them carefully before giving them to your pup because unwashed blueberries may cause tummy problems. If your blueberries look spoiled or rotten, don’t give it to your pets. Their tummies are as sensitive as yours, so don’t give them anything you wouldn’t eat. Blueberries are best when consumed raw because that is when they have the most nutrients, minerals, and antioxidants. Generally, it is hard for your furry friends to digest fruits that have peels. Though it’s fine to give them blueberries whole, some dogs simply cannot break them down, and the blueberries come out of their stool whole. If this happens to your dog, it is best to slice the blueberries in half before giving them to your pet. Most dogs, especially teething puppies, prefer frozen blueberries than raw ones because of their crunchy and cold nature but giving them this isn’t a very good idea because frozen blueberries may again cause tummy problems for your dogs. You can also give your dogs blueberry dog treats that you can get from pet shops but never, ever give them blueberries in muffins, pies, pancakes, etc. This will just increase your pet’s sugar intake, thus, causing health problems for him. It should also be noted that your pet should already be getting all the nutrients it needs from its normal diet, so blueberries should only be given as special treats or snacks. My Dog Ate Too Many Blueberries! What to Do? Again, blueberries are only good for dogs if given moderately. Eating too much may cause health and stomach problems that you wouldn’t want your dogs to have. If you’re lucky, the worst that can happen when your dog eats too many blueberries is that he will have diarrhea. When this happens, the only thing you can do is to clean up the mess, give your dog lots of clean and fresh water to drink, and wait for the diarrhea to pass. Diarrhea is usually self-limiting, so your dog should feel well in a few days without you having to do anything. Although if it worries you, however, you can also pay your vet a visit and ask him what the best thing to do is. This also applies to when your dog develops symptoms other than diarrhea and tummy problems. To avoid giving your dog too many blueberries, try giving them small amounts at first and observe how they will react to it. If nothing happens, then your dog can handle eating that much blueberries. If your dog develops symptoms of any kind, give a little less or stop giving them blueberries right away. Again, if symptoms persist, it is always best to visit the vet. Watch this video below which explains why blueberries are good for your dog & puppy. I am sure you may have some unanswered question in your mind. That’s why in this section, we have compiled a list of some of the frequently asked questions about dogs and blueberries. If you have any additional questions or require further clarification, feel free to ask it in the comments section below. 1. Can Dogs Have Blueberries? 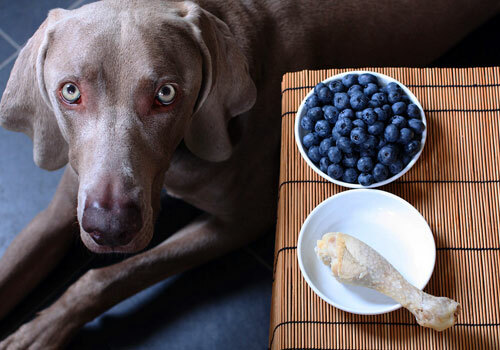 Are Blueberries Safe for Dogs? 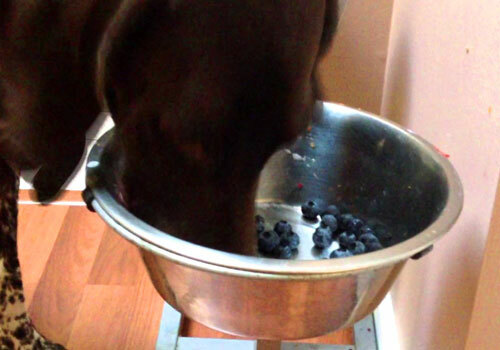 Yes, dogs can eat blueberries and yes, blueberries are safe for them to eat. In fact, blueberries are more than safe for your dogs. Because blueberries are full of minerals and nutrients, your dog will actually benefit from them if given in correct amounts. 2. Can I Feed My Dog Raw Blueberries? Yes, you can feed your dog raw blueberries. In fact, this is the best way to feed blueberries to your dogs because this is when they are most filled with nutrients and minerals. Just make sure to wash them thoroughly before giving them to your dog to make sure that they are clean. 3. Are Blueberries Poisonous to Dogs? Blueberries are generally not poisonous for dogs, but they can cause tummy problems and other health conditions if given wrongly or excessively. The worst that can happen from raw blueberries is diarrhea but giving your dogs sweetened blueberries or blueberries baked in pies, etc. can cause bigger problems such as diabetes and weight gain. 4. How Much Blueberries Can a Dog Eat? The amount of blueberries a dog can eat depends on the dog itself. Generally speaking, dogs can take up to 10 blueberries, but small ones can only take fewer than that. To make sure, it is best to give them a little at a time, or ask your vet how much you can give. 5. Can Dogs Eat Frozen Blueberries? Dogs would generally prefer frozen blueberries over raw blueberries because of their crunchy and cold nature. In fact, it may even seem like a good treat for teething puppies. 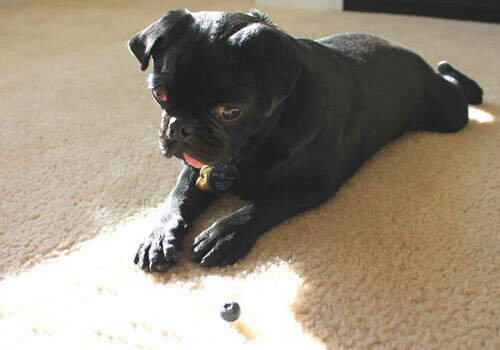 While some dogs can take eating frozen blueberries, others get tummy problems from them. Again, it is best to test the waters or ask your vet first. 6. Can Puppies Eat Blueberries? Like all dogs, puppies can also eat blueberries, as long as they are given the right amounts. It is great for them especially because of all the minerals and nutrients that they can get from it. Many people even give their puppies frozen blueberries to soothe their growing teeth, but it is important to closely monitor these puppies in case they develop any unwanted symptoms. Pet dogs will always be a part of our families. For this reason, we only want what’s best for them. Knowing whether or not a certain type of food is good for them is part of the process of keeping them happy and healthy at the same time. From this article, we can see that blueberries are actually very good for your beloved dogs, as long as they get it the right way and in the right amounts. Feeding your dogs blueberries will supply them with the extra nutrients they need, but it is also important not to give them too much as this may cause unnecessary problems for your pet. How much blueberries your pet can handle will depend upon how big your pet is, and of course, on what your vet says. The big question here is not, whether can dogs eat blueberries but whether or not they will like it.. Dogs don’t have the sweet tooth that people do, so blueberries may not be so satisfying for them. If your dogs want some, though, then there is no problem giving it to them. 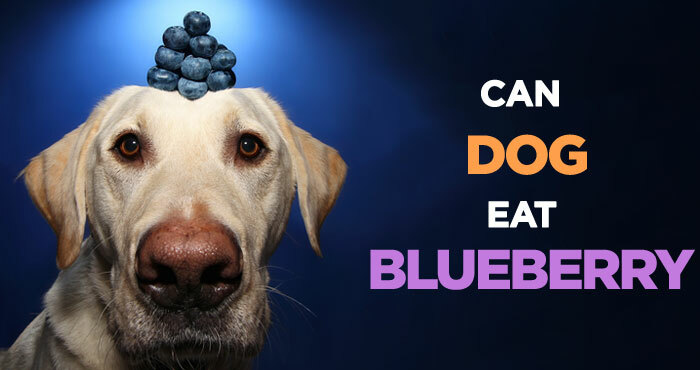 So the next time your dog begs for a blueberry, give him some and enjoy your healthy treat together. My dog used to like blueberries but she’s gone off them now. I sneak them into her food (3 or 4 per day) by squishing them up and mixing them in so she won’t notice them. Sometimes I use blackberries instead. They’re a good source of anthocyanins so I think she should eat them. Oddly she loves cherry tomatoes and steals them off my tomato plant. I heard tomatoes aren’t too good for dogs so I’m a little worried about her eating so many (she steals 2 or 3 per day if there are any to steal – it’s winter now so there’s no tomatoes left but I’m sure she’ll be back to her theiving antics come spring).